Now, depending on who you talk to, some will lead you to believe that they have been around 8 years with this business. Not true. Tidom itself is barely 2 years old. Our summary shows it was actually launched in January 2017, and some pre-launch activity. 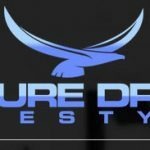 The 8 Figure Dream Lifestyle review shows the same levels of entry $2000, 3500, 6500, 12500, & 22,000. as well as hosting fees that can reach $500 as in Tidom. Now there are some differences between the two. You will have to pay even higher expenses here. Despite their exorbitant admin fees, everything is an extra cost. They offer outside help answering questions from your lead prospects. However, that will cost you an additional $150 a month. Ouch! Their monthly cost to send out 2000 texts are $29.00. Ouch! To use their Market funnel to track your webinar traffic will cost you another $79.00 a month. Ouch! Don’t forget your autoresponder cost, another $20.00 a month. Ouch! And we haven’t even gotten to the really expensive marketing costs yet. When you add in a $500 weekly marketing budget your expenses can soar to 2500 per month! They seem to promote costly phone blasting to market their business. You should be aware that out of the thousands of calls you will make, if you accidentally call someone that is on the do not call list, then you will face a hefty fine and or lawsuit. We have big reservations about the high costs of entry , $22,0000 plus another $495 hosting fee. Do you really think someone is going to pay you over $22,000 for digital products? Not a very realistic expectation when you consider that alternative businesses are offering similar products for less than one forth of that cost. So in this summary we have taken into considering the extremely high failure rate of new businesses. The 8 Figure Dream Lifestyle review shows that this is just too new and costly to invest any serious money into. This conclusion seems to be shared by other reviewers as well. Especially when there are more stable alternative businesses that have already stood the test of time. See below. As with our Tidom review the compensation plan has it flaws. In our opinion this is just a hyped up version of the Tidom business with more expenses. Your qualifier sale remains IN YOUR INVITER’S DOWN-LINE forever. You get no income from the qualifier’s future sales because you gave the qualifier to your inviter. You do not get any residual income from the future sales of your down-line, ever. Your inviter is not required to make calls on your behalf , So will he or she ? We don’t know. With the high costs of entry you will undoubtedly lose many more sales than you will ever make as most people will not be able to afford this. They do offer a much hyped webinar which is suppose to be the main tool in convincing your prospect to join. But will it be enough to convince someone to pay this much? They also offer some communication tools for texting and phone calls but the cost is very high. We don’t feel it is necessary to pay such a high cost. In this summary, we feel that beyond the hyped up repackaging of the Tidom business it’s structure is designed much more to enrich the owners than you, the new member. You just have to give up too much here. For these reasons, we’re out! As an alternative in this 8 figure lifestyle review, three businesses which we recommend can be viewed on our recommendations page . 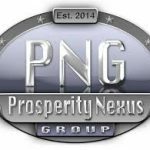 They have all the benefits of an independent home business but with none of the negatives associated with gifting programs as well. IWIN offers a lower cost to join with its low expenses which appeals to more people . IWIN also offers the best marketing / teaching system that we’ve ever reviewed.